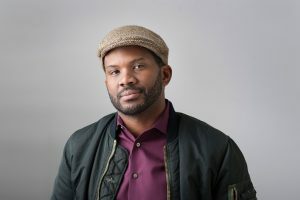 Demone Carter has played many roles within the Silicon Valley arts and education circles for the past 15 years. Performing under the name DEM ONE, he has released several albums and collaborated with notable Hip Hop artists like D-Styles, Motion Man, Chali Tuna and Bambu. In 2014 he was given the Leigh Weimers Emerging Artist award from San Jose Rotary Club. Demone co-founded Unity Care’s Hip Hop 360 after-school program. From 2004-2010, Hip Hop 360 provided over 1,000 youth the opportunity to express themselves through the four elements of Hip Hop. Building on his experiences with Hip Hop 360, Demone started FutureArtsNow! The FutureArtsNow! program seeks to fill the void left by vanishing school arts and programming by giving local youth an outlet for expression. FutureArtsNow! has received recognition from San Jose Job Corps (Service to Youth Award) and the City of San Jose (State of The City Honoree). Demone is also Vice Chair for the community access organization CreaTV San Jose and is a graduate/Program Manager of the Multi Cultural Artists Leadership Institute (MALI). Metro Magazine named Demone ‘Silicon Valley’s Best Mentor’ for 2013. Grammy Award-winning baritone saxophonist and composer Aaron Joseph Lington (b. 1974) received his BM in music education from the University of Houston, Moores School of Music, and both his MM in jazz studies and DMA in saxophone performance from the University of North Texas where he studied with James Riggs. 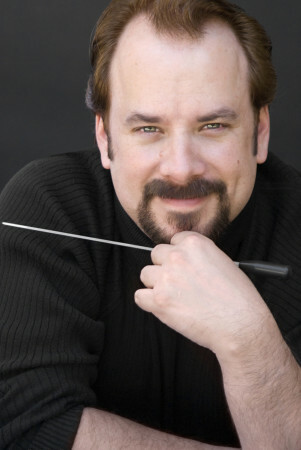 His performing and compositional credits include collaborations with the University of North Texas One O’clock Lab Band, the San Francisco Symphony, Maynard Ferguson, the BBC Radio Orchestra, the Count Basie Orchestra, Doc Severinsen, Bo Diddley, Joe Lovano, Jamie Davis, Tommy Igoe, Pacific Mambo Orchestra, and many others. 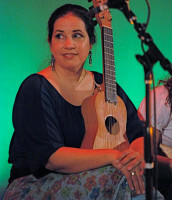 In addition, he has won awards for both his playing and writing from Downbeat Magazine, ASCAP, and was the 2003 recipient of the Sammy Nestico Award. He was named the 2011 “Jazz Educator of the Year” by the California Music Educators Association, and has been recognized multiple times in the both the Downbeat Magazine Critic’s Poll and Reader’s Poll. The San José Mercury News praises Dr. Lington’s playing as “revelatory…he obviously relishes the beautiful, blustery bark of his instrument…” and that he possesses a “…finely honed melodic sensibility…” Josh Davies from the International Trumpet Guild states that Lington “…[shows] a true command of his instrument with a very studied and soulful essence.” Cadence magazine declares “Lington and compatriots come up with a wonderful and totally American jazz sound, [resulting in] a solid mainstream set based on some sweet melodic improvisation.” In addition to his position as professor at San José State University where he serves as Coordinator of Jazz Studies, Dr. Lington is also a member of the faculty at the Texas Music Festival Jazz Institute, hosted by the University of Houston. 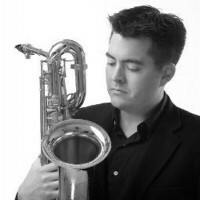 Aaron Lington is a Saxophone Performing Artist for Selmer Saxophones and is a D’Addario Performing Artist and performs exclusively on Rico Reeds. 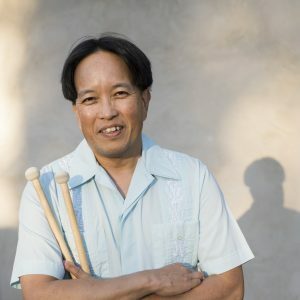 Five-time Grammy-nominated percussionist and US Artists Fontanals Fellow, John Santos, is one of the foremost exponents of Afro-Latin music in the world today. Born in San Francisco, California, November l, l955, he was raised in the Puerto Rican and Cape Verdean traditions of his family, surrounded by music. The fertile musical environment of the San Francisco Bay Area shaped his career in a unique way. 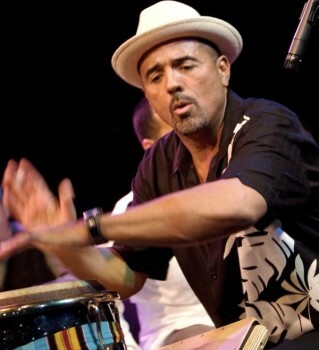 His studies of Afro-Latin music have included several trips to New York, Puerto Rico, Cuba, Brazil and Colombia.He is known for his innovative use of traditional forms and instruments in combination with contemporary music, and has earned much respect and recognition as an educator, composer, and record and event producer. He’s been a prolific performer, composer, teacher, writer, radio programmer, and record/event producer whose career has spanned over 35 years. John has worked with acknowledged, multi-generational masters such as Cachao, Dizzy Gillespie, Tito Puente, Bebo Valdés, Max Roach, Eddie Palmieri, Patato Valdés, Lázaro Ros, Bobby Hutcherson, Chucho Valdes, Chocolate Armenteros, John Handy, Billy Cobham, Zakir Hussain, George Cables, Rene Lopez, Generoso Jimenez, Joe Henderson, Francisco Aguabella, John Faddis, Ed Thigpen, Giovanni Hidalgo, Steve Turre, McCoy Tyner, Batacumbele, Poncho Sanchez, Omar Sosa, Mel Martin, Ignacio Berroa, Danilo Perez, Los Pleneros de la 21, Jose Luis “Changuito” Quintana, Armando Peraza, Pancho Quinto, Tootie Heath, Jacqueline Castellanos, Malonga Casquelord, CK Ladzekpo, Pancho Terry, Yosvany Terry, Dafnis Prieto, Oscar Castro Neves, Mark Murphy, Larry Coryell, Lázaro Galarraga, Regino Jimenez, Luis Daniel “Chichito” Cepeda, Pedrito Martinez, Jerry Medina, Orestes Vilató, Paquito D’Rivera, Larry Vukovich, Arturo Sandoval, Nestor Torres, Anthony Carrillo, Paoli Mejías, Raul Rekow, Andy Gonzalez, Jerry Gonzalez, Jovino Santos Neto, Lalo Schifrin, Pete Escovedo, Claudia Gómez, Maria Márquez, Jon Jang, Ray Vega, Chembo Corniel, Wayne Wallace, John Calloway, Mark Levine, Elio Villafranca, Bruce Forman, Linda Tillery, Charlie Hunter, Joyce Cooling, Bobby Matos, Mark Weinstein, Jackeline Rago, Roberto Borrell, Sandy Perez, Jesus Diaz, Roman Diaz, Pablo Menendez, Yma Sumac, and Carlos Santana. John is widely respected as one of the top writers, teachers and historians in the field and was a member of the Latin Jazz Advisory Committee of the Smithsonian Institution. He is currently part of the faculty at the Jazz School Institute (Berkeley, CA) and the College of San Mateo (CA). He has conducted countless workshops, lectures and clinics in the US, Latin America and Europe since 1972 at institutions of all types including the Adventures in Music program of the San Francisco Symphony, the Berklee School of Music in Boston, UCLA, Yale, Stanford, the University of Wisconsin at Madison, the University of Michigan, Cal State Monterey Bay, Cal State East Bay, the University of Colorado, Yakima Valley Community College, the Afro-Cuban Drumming and Dance Program at Humboldt State University (CA), Cal State Sonoma, Cal State Sacramento, Cal State San Jose, Tulane University of Louisiana, Jazz Camp West, the San Francisco Conservatory of Music, the Los Angeles Music Academy, the Museum of the African Diaspora (San Francisco), he Lafayette Summer Music Program (CA), Skidmore College (NY), and La Universidad Inter-Americana in San Germán Puerto Rico. He has contributed to the international magazines Percussive Notes, Modern Drummer, Modern Percussionist, and Latin Percussionist. John was the director of the Orquesta Tipica Cienfuegos (l976-1980) and the award-winning Orquesta Batachanga (1981-1985). He was founder and director of the internationally renowned, Grammy-nominated Machete Ensemble (1985-2006), who released nine CDs with special guests from Puerto Rico, Cuba, NY, Los Angeles, and San Francisco, mostly on John’s Machete Records label. He currently directs the John Santos Sextet, Latin jazz ensemble. Their second CD, Perspectiva Fragmentada, released in October 2008, was nominated by the Jazz Journalists Association (NY), and by Cubadisco (Cuban Grammys) as one of the top Latin Jazz releases of the year, and selected as one of the five top Latin Jazz CDs of 2008 by New York’s All About Jazz magazine, among many honors. John’s Afro-Caribbean Folklóric Ensemble, El Coro Folklórico Kindembo, has produced three full length CDs since 1994, two of which were Grammy-nominated including the most recent, La Guerra No, in 2009. John’s work has been recognized and supported by the California Arts Council, United States Artists, the Zellerbach Family Fund, the Fund for Folk Culture, the Ford Foundation, the William and Flora Hewlett Foundation, the San Francisco Foundation, the East Bay Community Foundation, the National Association of Latino Arts and Culture, the Creative Work Fund, and the City of Oakland. The San Francisco Bay Area community in which he still lives and works has presented him with numerous awards and honors for artistic excellence and social dedication. San Francisco Mayor Gavin Newsom issued a proclamation declaring November 12, 2006 John Santos Day. And on October 9th, 2012, in a ceremony at City Hall, he received the 2012 San Francisco Latino Heritage Arts Award from the Mayor’s office. It came with a Certificate of Honor signed by Mayor Edwin Lee, and Certificates of Recognition from the State Assembly signed by Speaker Pro Tempore Fiona Ma and Assemblyman Tom Ammiano, a Certificate of Recognition from the State Senate signed by Senator Mark Leno, a Certificate of Special Congressional Recognition from the US House of Representatives signed by Congresswoman Nancy Pelosi, and a glass plaque from the City and County of San Francisco. John is an endorsee of Latin Percussion instruments, Remo drumheads, Sabian cymbals, Engelhart Metal Percussion, and Fat Conga Cajones. 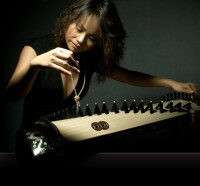 Vân-Ánh Võ devotes her life-long passion and mastery of the dan tranh zither to the creation of distinctive music blended with a cultural essence that can only come from this unique Vietnamese instrument. Among her accomplishments are the 2009 Emmy® Award-winning soundtrack for the documentary “Bolinao 52”, which she co-composed and recorded, and the soundtrack for the Sundance best documentary and 2003 Academy Awards® nominee “Daughter from Danang”. Vân-Ánh also co-composed and recorded for the recent documentary “A Village Called Versailles”, winner of the New Orleans Film Festival Audience Award.